Need immediate help?Need immediate help?Call Now!Call Now! We Plan, Design, Install, and More! 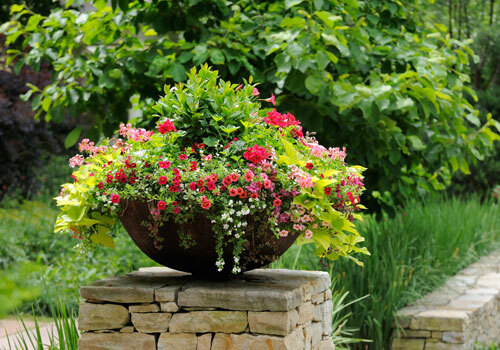 For complete landscape services, turn to Charlotte Plantscapes Inc. in Charlotte, NC. We specialize in interiorscape design, plant care service, holiday décor, and more. Our uniformed and experienced technicians can maintain and care for your plants and flowers so you can focus on more important matters. Hire our team today and allow us to provide you with the world-class plantscape services you deserve! The hustle and bustle of the holiday season is the most celebrated time of the year for company holiday parties as well as friend and family gatherings. Let the design professionals at Charlotte Plantscapes Inc. help you create that festive holiday atmosphere this season for your work or home while you enjoy the beauty of this special time. We offer beautiful trees (both live and artificial), custom ornament décor packages, wreaths, garland, light displays, custom decorative bows, colorful poinsettia, and seasonal flowers such as cyclamen, paperwhites, amaryllis, and Christmas cactus to enjoy or give as gifts. Our holiday décor and services are designed to create your festive spirit with color and warmth for you, your friends, co-workers, and family to enjoy during this holiday season. When it comes to professional plantscape services, no other company compares to Charlotte Plantscapes Inc. We have the skills, experience, and tools to effortlessly complete all types of plantscape projects. To get started with yours, pick up the phone and call our sales team. We hope to hear from you soon!